Miss Becky Boo: A Unicorn Cake for a special boy! 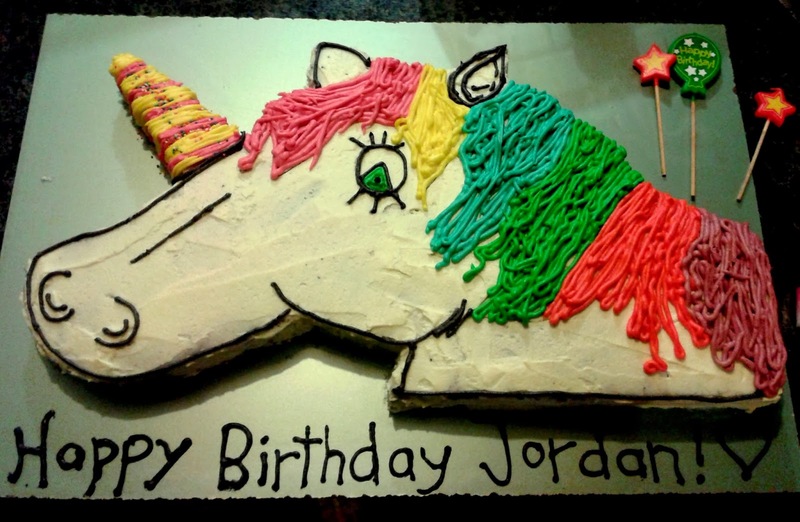 My big nephew Jordan had his 21st party this week and I had the task of making his cake. I love my big neph. I'm not one to do a rude cake so I thought I'd go left field and do a wee little girly cake. 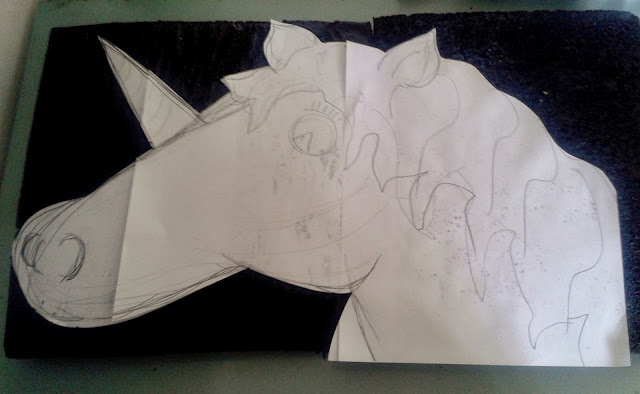 I drew a stencil of the unicorn that was approximately the size of two large cakes. Here is the final product. Did a crumb coat and then did the different colours using butter icing. A manly cake for a maly 21 year old.